While some of us are gluttons for the current era of TV, where new series are plentiful and the wait between episodes feels like mental surgery without anesthesia, others prefer to kick back and enjoy the shows of yesteryear that have already come to completion. And Netflix is the perfect place to do such a thing, as their library expands and contracts with all manner of comedies, dramas and genre series. Here are 10 classic shows that are worth all of your attention, regardless of whether you enjoy binge-watching or spreading things out. These aren’t the only ones out there, of course, but they should tide you over until the fall TV season. And if you’ve seen them all already, introduce them to someone who hasn’t. I don’t trust anyone who loves comedy and doesn’t like Futurama, easily one of the smartest and wildest animated series ever created, as well as one of the best sci-fi series out there. Every single member of the Planet Express crew is memorable in their own way – particularly the main trio of Fry, Bender and Leela – and a large percentage of the plotlines are extremely interesting and imaginative, especially when concepts like time travel and parallel dimensions come into it. Like that other Matt Groening show – The Sumpsans, is it? 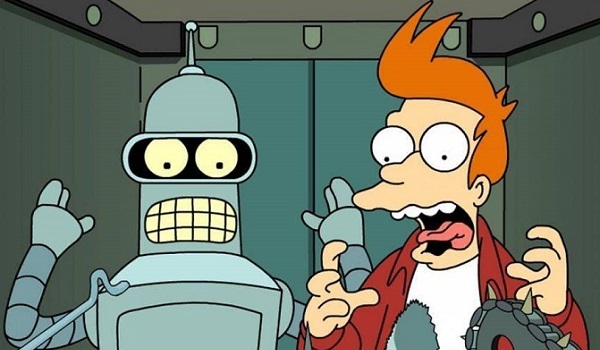 – Futurama peaked in its early years and lost some steam when it shifted to Comedy Central after Fox canceled it, but the good news for everyone is that it never came close to being terrible, and the crossover episode. last year just made us want more. How Much Is Available: All 7 official seasons are here (even though they’re split up), as well as the four direct-to-DVD movies. One of the defining shows of the 1990s that didn’t have a laugh track, Twin Peaks probably wouldn’t have felt any stranger had canned laughter been added in. This tour de force from David Lynch and Mark Frost was first and foremost a mystery drama about the circumstances behind the death of teenager Laura Palmer, which is being investigated by FBI agent Dale Cooper, played with an unquivering optimism by Kyle MacLachlan. Beyond the murder, though, Twin Peaks offered a no-quirks-barred look at a small northern town where secrets and disturbing fantasies flow like tap water. And although the show loses some of its narrative thrust in the middle of Season 2 – which is basically why it never made it to a Season 3 – those in it for the oddities more than the mystery won’t be disappointed. 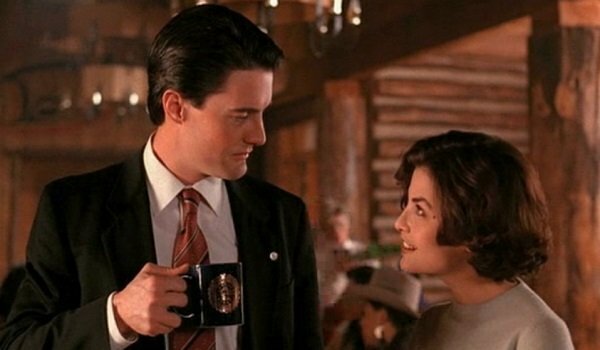 How Much Is Available: Both seasons of Twin Peaks are there for your viewing pleasure and confusion to get you set for Showtime’s revival next year. No, we’re not talking about the Netflix remake of the same name with Kevin Spacey. We’re talking about the original U.K. drama trilogy, which was itself based on the Michael Dobbs novels. 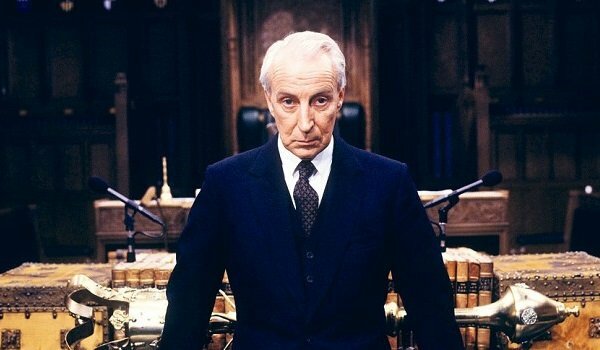 The series follows the Conservative Party’s Chief Whip Francis Urquhart, played to perfection by Ian Richardson, as he schemes his way up the political ladder in an attempt to eventually become the Prime Minister. Because these seasons featured limited episode counts, the narrative is consistently intelligent, razor sharp and paints a damning picture of a political playing field where one might not need to be anything other than insistently amoral in order to get things done. It makes one wish the U.S. version of House of Cards wasn’t allowed to hem and haw as often as it does. How Much Is Available: All 3 seasons of 4 episodes each are there to make you realize how frighteningly little politics change. 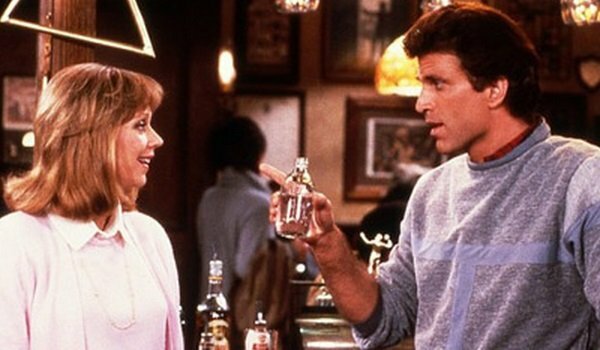 When it comes to TV comedies, it’s almost impossible to do anything better than Cheers, which is perfect in nearly every single way. It’s got a brilliant ensemble cast that saw some major changes – the Diane/Rebecca switch and Woody Harrelson coming in once Nicholas “Coach” Colasanto passed away – and it barely missed a step. It was one of the rare shows where the writing was so brilliant that you hardly realized that these bartenders and barflies rarely had storylines that took place outside of the titular location, and you barely judged them for their booze-fueled lifestyles. Sam and Carla were the ideal professional yin and yang, and the supporting cast featuring George Wendt and John Ratzenberger never missed. Plus, some of us preferred this show’s version of Frasier Crane to the erudite version in the hit spinoff. How Much Is Available: All 11 seasons of sudsy hilarity are there. The bar stool seating is optional. 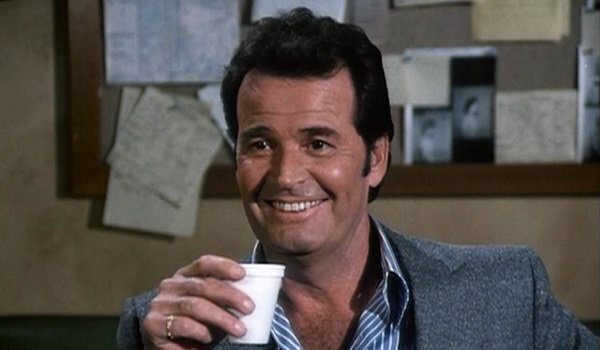 How Much Is Available: Take your tie off and pop that top button open, because all 6 seasons of The Rockford Files are there for your viewing pleasure. 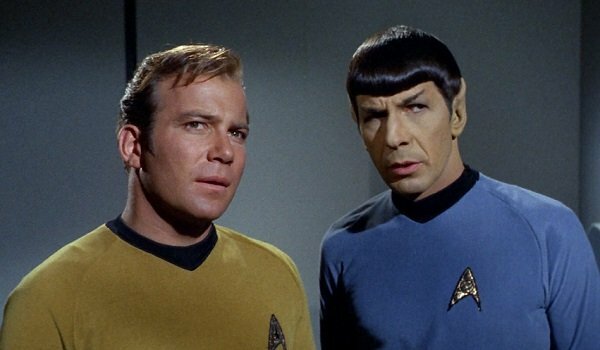 It’s hard to imagine a science fiction fan who doesn’t have some kind of a personal connection with the Star Trek franchise, and Netflix wants to make sure that link doesn’t weaken. If you’re an old school fan who can’t get enough of Leonard Nimoy’s emotionally resistant Vulcan, a mid-era fan who loves Patrick Stewart’s Captain Picard, or more modern fan who favors Scott Bakula’s Captain Archer, it’s all here, and you don’t need a holodeck to watch. Those who loved the animated version are in luck as well. (Almost all of the feature films are there, too, but we’re more focused on the small screen efforts here.) A dedicated and not-particularly-busy person could spend the next few months doing very little beyond catching up on the many intergalactic adventures from this franchise’s multi-faceted crews. How Much Is Available: All 3 seasons of the original series are there, as are All 7 seasons of Star Trek: The Next Generation, all 7 seasons of Star Trek: Deep Space Nine, all 7 seasons of Star Trek: Voyager, and all 4 seasons of Star Trek: Enterprise. And both seasons of Star Trek: The Animated Series are here, too. Though some might argue that The IT Crowd doesn’t quite fit into the classic description, it was created by Graham Linehan, whose career is peppered with modern classics like Father Ted and Black Books. The IT Crowd, with a timeless set-up and geek-tastic jokes, centers on three IT support employees – the equally astute Richard Ayoade, Chris O’Dowd and Katherine Parkinson – who use the workplace to deal with all sorts of personal problems and situations such as stolen mugs and bad bras. Making things worse/hysterical are the eccentric bosses Denholm Reynholm and his son Douglas, respectively played by Chris Morris and Matt Berry. (The Might Boosh’s always hilarious Noel Fielding plays a goth IT tech throughout the first two seasons.) Though it has a modern sensibility, The IT Crowd could easily fit in with any era of comedic television. How Much Is Available: All 4 seasons of the tech-savvy-ish comedy are here, assuming your computer or TV is definitely plugged in. We’re hoping the reunion episode from 2013 gets added at some point. Rarely do TV shows capture a time, a place, and an age group as well as Neal Marlens and Carol Black’s The Wonder Years, which manages to make everyone who watches it feel like a pubescent boy going through an occasionally strained family life during the late 1960s and early 1970s, as the world was consumed with war and hippie love. With wise and witty narration from Daniel Stern, Fred Savage’s Kevin Arnold experiences unrequited love for Winnie Cooper, sibling rivalry with brother Wayne, a constant fear of father Jack, and a hilarity-filled friendship with Paul. In its not-too-long, not-too-short six years on the air in the 1980s and 1990s, The Wonder Years provided a deft mix of humor, family drama, tear-stained nostalgia and teenage hormones, and though many shows have tried, none have been able to perfectly match its particular charms. How Much Is Available: All 6 seasons are available, but you might have a tough time getting over the fact that the Netflix episodes don’t contain the original music or theme song. Getting his major TV start assisting Doc Brown on Back to the Future: The Animated Series, Bill Nye soon became the spiritual successor of Mr. Wizard as a TV educator focused on teaching children science in a fun way. 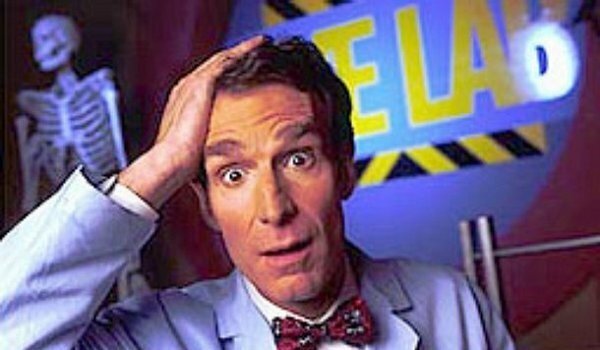 Bill Nye the Science Guy ran from 1993 to 1998, with each episode using a handful of experiments, sketches and songs to teach about a specific concept, such as mammals, inventions, the planets and evolution. (It’s kind of amazing to go back and watch the episode about evolution, considering his debate last year against creationist Ken Ham.) While the show certainly looks like the 1990s and a few of its concepts are dated, this is still an enjoyably wacky show that kids of all ages can learn something from. How Much Is Available: Unfortunately, only 30 of the 100 produced episodes are currently available as part of a “collection,” rather than a season by season release. Here’s hoping more get added soon. One of the more successful movie-to-TV transitions in entertainment history, Buffy the Vampire Slayer saw creator (and the film’s screenwriter) Joss Whedon dropping the goofy humor and the Luke Perry and forming a dense mythology that followed Sarah Michelle Gellar’s titular Slayer as she balances her life at Sunnydale High (in early seasons) with a world full of vampires and demons. Many a teenager would have killed to have been a part of the central Scooby Gang, as they made the storylines feel fun and exciting, no matter how dark and disturbing they got. While your mileage may vary on the spinoff series Angel, Netflix also has all 5 seasons of that show available, and the two work together in tandem extremely well. Buffy may be dead, but it’s still pretty. 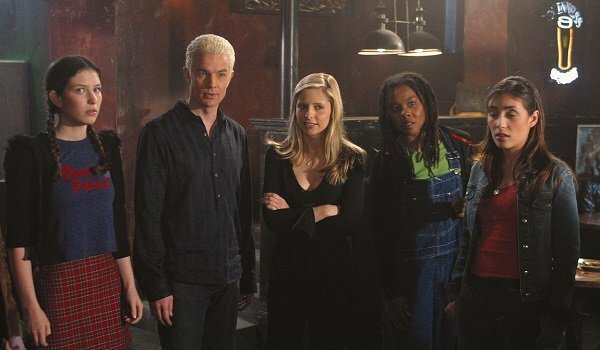 How Much Is Available: All 7 seasons of Buffy the Vampire Slayer are currently available, so plan your Buffy/Angel cross-viewing accordingly.